Announcing the New Letters and Science Pre-professional Advising Office! Pre-health and pre-law advisors are now meeting students in the new Pre-professional Advising Office in 2105 North Hall. 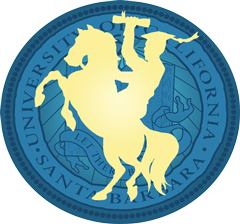 Each year, many UCSB graduates continue their education in medical, law, business, and a variety of other professional schools. Most of these graduate professional programs do not require completion of a specific undergraduate major. Instead, students may complete the major of their choice while fulfilling any specific course prerequisites required for admission to the programs of interest to them. Students interested in attending law school or pursuing a health profession after graduation should meet with pre-law and pre-health advisors in the Pre-professional Advising Office in 2105 North Hall. Department advisors are also a good source for pre-professional advising, depending on a student's interests, and Career Services office offers a wide range of resources for students as they explore the connections between their academic experiences and career goals.